Terry is a true home service legend, having been the national trainer of an NYSE-listed home service company. The company was at $900 million plus in revenue before getting acquired among other things. He has been in the home service industry since the early 90s. 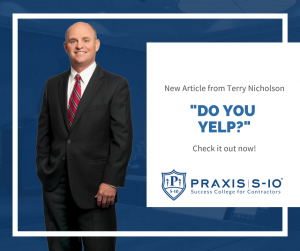 Terry’s first endeavor was with Jim Abrams, the first to provide high-quality training to contractors through a company called Contractors’ Success Group. Out of that, Jim formed the first public trading HAVC (heating, air ventilation, and cooling) in the world. That company was almost a billion-dollar company, huge for the time. After this amazing feat, Jim attempted retirement. I say attempted because it only lasted a year and a half before he started yet another business called Clockwork Home Services. Terry was highly involved with the day to day operations of this companies three national brands: Benjamin Franklin Plumbing, One Hour Heating &Air Conditioning, and Mister Sparky Electric. That company was then sold to Direct Energy. The most recent conquest is what brings us to Praxis S-10, a success college for contractors. One of the main issues faced in this industry is that technicians are not trained properly, or efficiently. This is not to say that they can not do their jobs, but that the training has been less than. Most companies rate their technicians based on their number of sales, not their level of competency. This may boost the cost in the market raising the numbers, but not really raising the quality of those numbers. Praxis S-10 is putting the focus on the technical competency and productivity of the technicians because they believe that they can provide a lower price for greater service. Their company is confident that they are providing a better education for technicians through increasing their quality, a priceless necessity for home service companies. “your business is a vehicle that gets you where you want in life.” Some people show up every day and work hard, but they don’t really have a plan of what they want to accomplish with their business. Having technicians who are properly trained and that have greater knowledge of their trade will help your company. Terry explains that the key to a successful company is to ensure it is consumer-centric. How do you put together and build numerous companies that focus on the consumers? Can we bring a unique product/ service to the consumer? Can we bring this product/ service to the consumer more economically? Can we bring this product/ service to the marketplace more conveniently? The first thing that we need to care about when wanting to build a successful company should never be money. Of course, that is the long-term goal for many, but initially, it should be about the customers. Without customers, you have no business. To make this happen, it takes far more than just a couple of people. In reality, it takes a lot of high-quality people on the right bus trained to do the right thing while holding them accountable. Success comes from what your thought process is, in what YOU believe is possible. 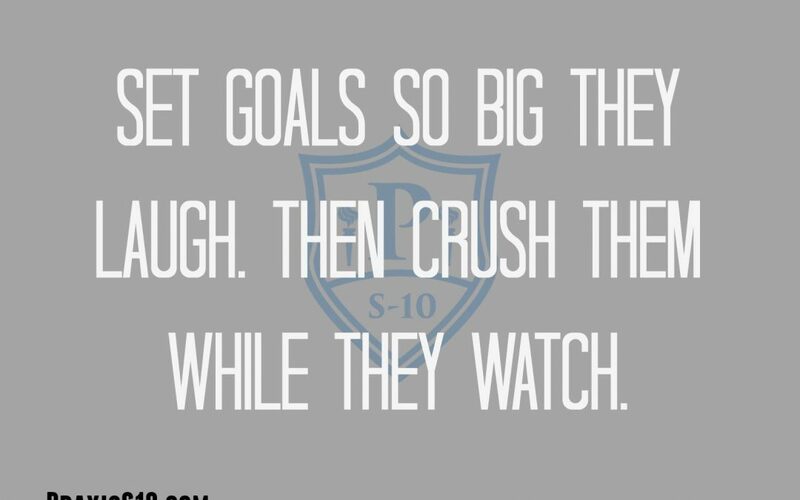 If you dream big, keep constant enthusiasm, and just keep going you will accomplish so much more in life. When you are making that plan, start with your organizational chart. You are probably starting with the original 5 direct reports from the original 5 positions: office, sales, admin/accounting, marketing, and training. As you grow bigger, your direct reports are probably going to grow smaller which is a good thing. These are usually from the CFO, COO, and CTO. The fewer the reports you have, usually the better your company will perform. When you are scaling your business, make sure that you are chasing the opportunities rather than the profits. Large mistakes business owners make when scaling their business is they seem to think more short-term. Letting greed and short-sightedness mold your plan for your company pulls you away from your core business, misdirects you from what you are really trying to accomplish. Keep in mind when you are scaling your business, to also hire the right people. Technology today can give you a lot of information about who you are really hiring, even when that person isn’t. Go on their social media accounts, do your research, figure out who the person in front of you really is before signing them on. This helps you weed out those who will not benefit your growth. The bigger you get, the more easily it will become to identify top performers. These top performers will stand out with their easily identifiable characteristics that you see in them and fit the positions you are hiring them for. Use these characteristics as part of your interview process to find more people like them. Another great option you have a business owner as well is to create your own training center. This way, your training can be more uniform, you can make a difference in your own company, and you do not have to worry about the competency of the technicians within your company. Offering a combination of commission and the hourly rate has seemed to become a great option for those within the home service industry. There are many companies that hire technicians that are not technicians but rather salesmen in disguise. This can send your company into the bad area I mentioned above, where you become more money focused than quality. Your technicians can become more focused on sell as much as possible and offering the most expensive solution, replace instead of repair. You can pay a higher hourly rate today because it is easier to hold your team accountable through tracking. If you do the right thing the first time, you don’t waste your customer’s time and you don’t lose money due to having to send your technician back several times. 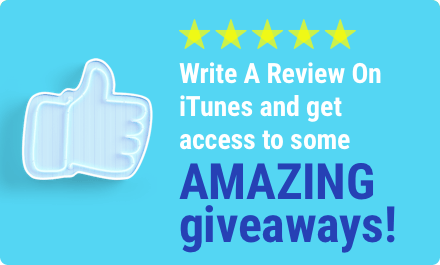 Having to do this will likely increase the problems and run the risk of causing negative reviews. An option you have when growing your business is to grow it through acquisition. If you are lacking in technicians, the best way to get new qualified employees is by searching which companies already have them and have the current option to be bought. This also eliminates competition, so it is worth overpaying in the long run. Advertising can be a long drawn out slow process. Through acquiring other companies, however, you can speed up your growth. Ask yourself how much that company costs, how many customers they have, and how much it would cost you to get to that number through advertising alone. If you are buying a business where all you need is their customers, not their operations, office space, or team, then it will cost you very little money. You could target their customers to get them away from the other company and then they would not have much to negotiate with. The other situation is more location related. If you are in Phoenix and want to go to Seattle, now you are looking for a place, a team that can operate in that area, and must implement your systems and processes. In this second option, there is real value in their business. Also, in this second situation, it is generally easier to not keep on the previous owner. You must move your company forward and on your terms. Home service products are being treated as more commodities now a day than ever before. People can check the price of these products online and think that through buying the product cheaper and installing it themselves they are going to get a far cheaper price. We must teach our technicians to understand the quality of their work, to understand what they are doing, why, and with what products. This helps them when they are confronted with customers who want to just do it themselves. Keep on top of trends, keep moving forward.